12 Studies in the U.S. In the year before Pres. Lyndon B. Johnson signed the Civil Rights Act of 1964, the Nigerian composer Samuel Ekpe Akpabot and Cynthia Boudreau, the 16-year-old White woman with whom he was sitting, were denied service at the restaurant of the Conrad Hilton Hotel in Pittsburgh, on the basis of his race. The young woman expressed her outrage and fled the scene in tears. The incident was not an uncommon occurrence in the U.S. at the time, and would in most cases have passed unnoticed by the rest of the world. The composer resolved on the spot, however, to memorialize it, and later did so in a tone poem which came to be called Cynthia's Lament. At the age of eleven he came to Lagos for his education at King's College, a school often referred to as the "Eton of Nigeria" and where European music was taught. It was, however, in the Church that Samuel Akpabot received the most significant introduction to European music. He was a chorister at Christ Church Cathedral, Lagos, under Phillips. As well as being a chorister he also found time to play in bands, the most popular of which was the Chocolate Dandies, formed and led by Soji Lijadu. In 1949 when Akpabot left the choir, his voice having broken, he formed his own band, The Akpabot Players; T.A.P. as it was popularly called. I would come back very late in the night from night clubs and steal into the Bishop's court where I lived (with Bishop Vining, then, of Lagos) and the following morning go to play for both the Holy Communion Service and the Sunday Mattins! A scholarship enabled Akpabot to travel to England in 1954 and enroll in the Royal College of Music in London. There he studied organ and trumpet. His teachers included John Addison, Osborn Pisgow and Herbert Howells. Akpabot subsequently left to study music at Trinity College. His first work, Nigeriana, for orchestra (1959) was originally written as an exercise for his composition teacher, John Addison. After minor revisions it was later renamed Overture for a Nigerian Ballet. Conceived along the tradition of the nineteenth century European concert overture, the work is characterised by literal and allusive quotations of Highlife tunes strung together in a rhapsodic manner. Nsukka proved a stimulating atmosphere in which to compose. The university, itself, established in the same year as Nigeria's independence, was generally regarded as a symbol of modern independent Nigeria. It was seen as one of the most important foundations for fashioning an artistic tradition that would reflect the national aspirations of the country. Between 1962 and 1967, Akpabot wrote four works which clearly reflected the prevailing nationalist euphoria of that time. 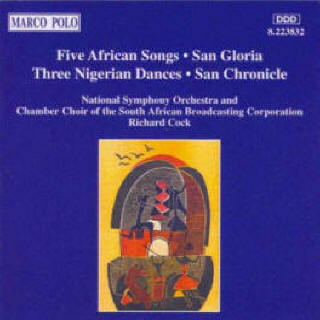 The works are Scenes from Nigeria, for orchestra (1962); Three Nigerian Dances, for string orchestra and percussion (1962); Ofala, a tone poem for wind orchestra and five African instruments (1963); and Cynthia's Lament, tone poem for soloist, wind orchestra and six African instruments (1965). While Scenes from Nigeria and Three Nigerian Dances belong essentially to the same category as Overture for a Nigerian Ballet; Ofala and Cynthia's Lament reveal a greater emphasis on African (Ibibio) elements not only in the use of instruments but in the use of melodic and formal procedures. Ofala, in 1972, won first prize in a competition for African composers organised by the Africa Centre of the University of California, Los Angeles (UCLA); forty-one African countries were represented. The prize-winning work was a tone poem based on the annual 'yam eating festival' of the Onitsha people of Anambra State. Akpabot is the one Nigerian composer who has written almost entirely for the orchestra. His choice of instrumentation is, however, also conditioned by the need to project the features of traditional African instruments, as exemplified in Nigeria in Conflict consisting of those which are typical of Ibibio music. They are the gong, woodblock, rattle, wooden drum and xylophone. At the end of the civil war in 1970 Akpabot became a Senior Research Fellow at the Institute of African Studies, University of Ife, now Obafemi Awolowo University, and the two works written there continued to reflect the nationalist element of the pre-war works. These were Two Nigerian Folk Tunes for choir and piano, (1974) and Jaja of Opobo, a folk opera, sung and spoken in Efik, English and Ibo (1972). Several of Akpabot's compositions juxtapose African and European instruments, while others, like Three Nigerian Dances, use Western instruments only (strings and timpani in this case). The Dances do, however convey a genuine sense of West African musical characteristics with their use of "call and response" patterns and idiomatic rhythmic motives. "I was inspired in writing this work by Dvorak's Slavonic Dances which I enjoy listening to very much. Jolly good fun was my key word here and I think string orchestras would enjoy getting introduced to the dances which we, in Africa, have enjoyed through the years. They all consist of an opening section, a middle section which does not modulate, and a closing section. Modulation is very foreign to African instrumental music and I wanted very much to get away from the ABA form so common to early European instrumental music." The composer has arranged this Pastorale section from his orchestral setting of Scenes for Nigeria for clarinet and piano. The Pastoral is essentially a lullaby in call response fashion. The texture is somewhat sparse but is just right for this setting. From its undulating rhythms and unique harmonies, this composition reminds one of an African "pastorale" landscape. 12 Studies in the U. S.
He then continued his ethno-musicological studies in the United States at the University of Chicago and Michigan State University, where he received a Doctor of Philosophy degree. His publications on the subject have gained him a reputation as a major scholar of West African indigenous music. Akpabot's studies at the University of Chicago led to his receipt of an M.A. in Musicology. His Ph.D. dissertation at Michigan State University, published in 1975 by Michigan State University Press, was Functional Music of the Ibibio People of Nigeria. Akpabot's nationalist zeal has, however, been curtailed in his two most recent works: Te Deum Laudamus, (Church anthem, choir and organ, 1975) and Verba Christi, (a cantata for three soloists, chorus and orchestra) commissioned by the Nigerian Broadcasting Corporation for the World Black Festival of Arts and Culture (FESTAC) which took place in Lagos in 1977. The two works brought back echoes of the Church, the foundation of his musical training. The Verba Christi is his largest work to date and is notable for its use of musical materials from diverse European styles ranging from Victorian choral tradition to twentieth century atonality. Compared with that of Sowande, Samuel Akpabot's style is relatively homogenous. Virtually all his works are typified by a recurring approach in which elements of Highlife music combined with those of his traditional culture, Ibibio, are fused with features of European tradition. 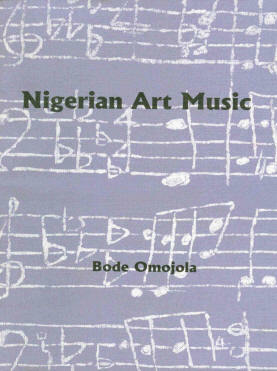 Often rejecting the expressionist, even avant-garde style of Euba, and the nineteenth century European heritage of Sowande, Akpabot's strong reliance on Highlife and Ibibio traditions is symptomatic of a personal vision of the role which Nigerian and modern African composers should perform in society. Samuel Ekpe Akpabot, renowned musicologist and composer, died in his hometown of Uyo, Nigeria, on August 7, 2000. He was 67 years old and until his death had been serving as a lecturer at the Institute of Cultural Studies, University of Uyo. Like his fellow Nigerian Fela Sowande, Samuel Ekpe Akpabot was a very accomplished composer who lived to see very few of his compositions recorded.